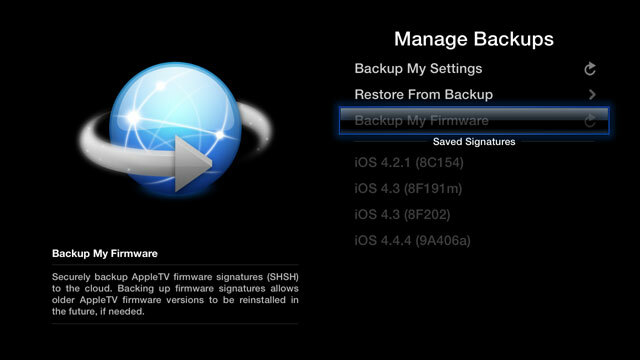 The fine folks from Firecore have been hard at work on their aTV Flash (black) package for jailbroken AppleTVs and have just released a new update that allows all-new firmware backup options, new localizations for our international readers, and playback enhancements. The Apple TV is an incredibly inexpensive way to easily get all your iTunes music and videos onto your big screen HDTV, along with special channels like Netfix, but you only get support for Apple's own file formats, and for channel parters they select. Jailbreaking and using aTV Flash (black) opens up entirely new worlds beyond Apple. Need help jailbreaking your Apple TV 2? If so, be sure to check out our full how-to guide today!